Asus ZenFone 3 (5.5 Inch) Vs Vivo V3 Max Specs Comparison! 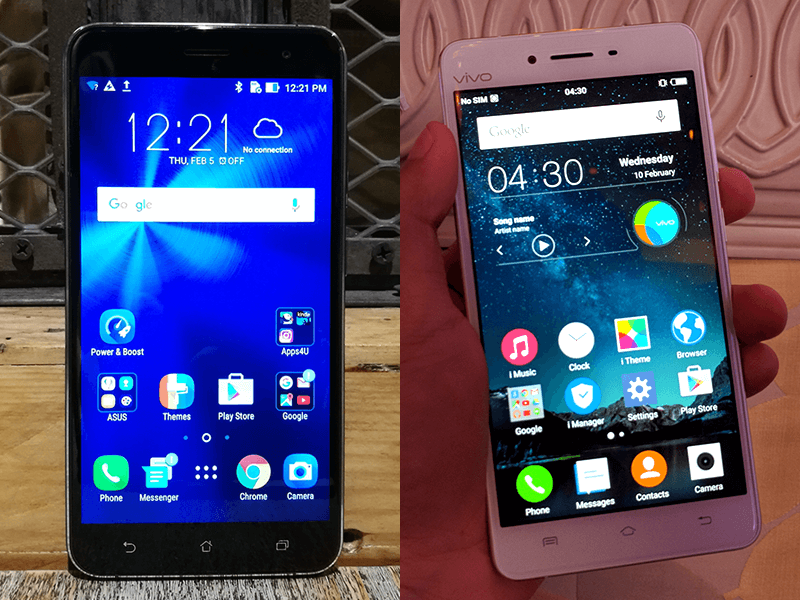 Home / mobile / news / vivo / Asus ZenFone 3 (5.5 Inch) Vs Vivo V3 Max Specs Comparison! The recently launched Asus ZenFone 3 with 5.5 inch screen is arguably the best overall handset that we reviewed this year in the sub-20K range. It has that great combination of style, build, modern features, and cameras. Asus ZenFone 3 5.5 inch or Vivo V3 Max? It's closest competition right now is the Vivo V3 Max with has nearly the same ame config, higher processor, and better 32 bit HiFi chip on a slightly lower price tag. Here's the tale of the tape. Let's compare! On paper, the Asus ZenFone 3 is ahead in terms of camera, storage, OS, battery implementation (14 hours vs 8 hours at PC Mark), and OS (newer Marshmallow OS). Its inclusion of a USB Type C also makes it future proof. Related: Asus ZenFone 3 (5.5 Inch) Review - The Midrange Phone To Beat! On the other hand, the V3 Max has an advantage in speed. It's using the faster Snapdragon 652 chip paired with Adreno 510 GPU. It also has a higher AK4375 HiFi audio chip with 32 bit / 192 KHz audio support for audiophiles. Then it also supports Qualcomm's Quick Charge 3.0. Overall, we think that it depends on your needs. Both handsets are already super speedy and performs in high level. If you need something with better cameras and bigger storage, you could take the ZenFone 3 5.5 Inch edition. If you're an audio guy (though Zen 3 sounds awesome too), needs a faster processor and only has 17K to spend, then the V3 Max might be the one for you. Proper side by side testing is needed though to verify our thoughts.